Harry Mahr Weese was born in Evanston, Illinois in 1915. He attended the Massachusetts Institute of Technology (M.I.T. 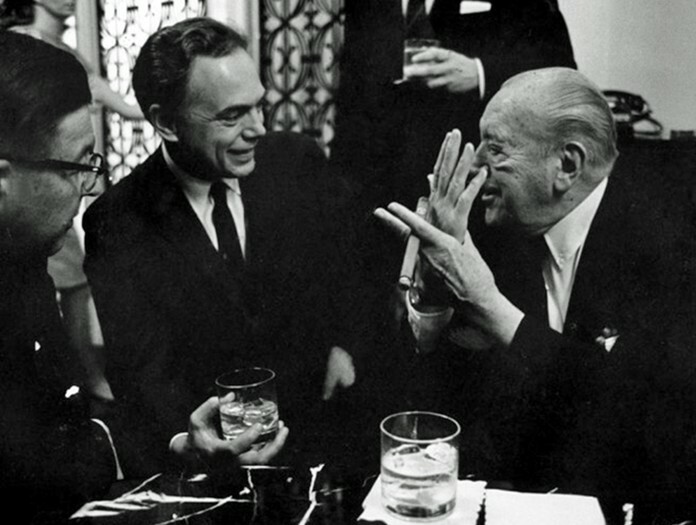 ), studying under Alvar Aalto and forming friendships with fellow students Eero Saarinen and I. M. Pei. Weese also briefly attended Yale. He graduated from M.I.T. in 1938, then studied for a year with renowned architect Eliel Saarinen, Eero’s father, at the Cranbrook Academy in Michigan. Before and after serving in World War II, in 1940 and 1946-7, Weese worked for the one of the largest and well-known architectural firms, Skidmore Owings and Merrill (SOM). SOM are sometimes credited with having invented the “glass box” skyscraper. 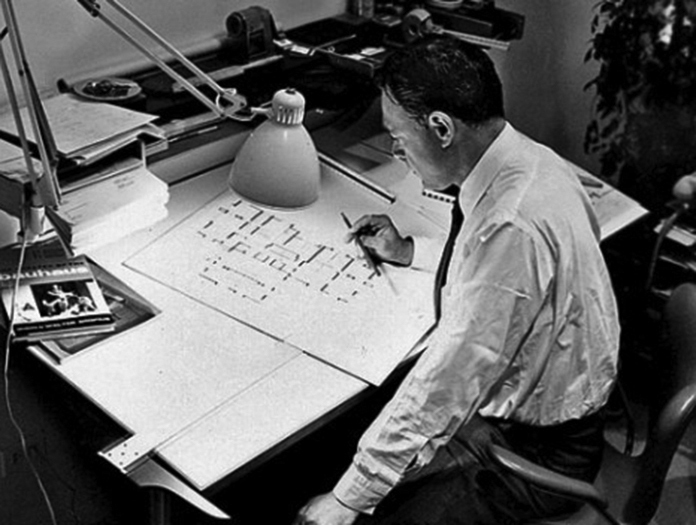 Reputedly skeptic of the “less is more” edict of Mies van der Rohe that heavily influenced SOM and the Chicago school in general, Weese opened his own firm, Harry Weese and Associates, in 1947. 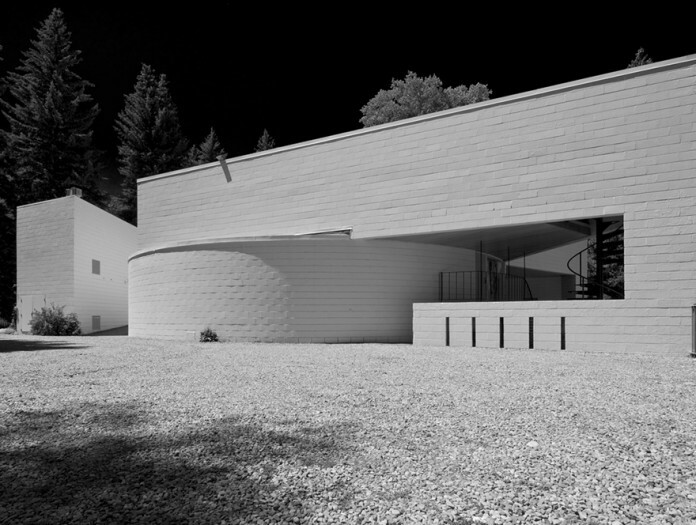 While classically trained in the tenets of modernism, Weese was philosophically fundamentally unlike the Bauhaus masters. Weese’s prolific work in broad-ranging typologies including churches, educational facilities, single-family and multi-unit residences, and prisons, reflects a humanistic approach incorporating natural materials, particularly wood. Early in his career Weese was invited, at the suggestion of Eliel Saarinen, to design a building in the town of Columbus, Indiana. After World War II, a manufacturing company in Columbus, Cummins Engine (Foundation), recognizing the business value of creating livable communities, began to offer to pay architectural fees for local properties owners who would engage firms identified on a specific list, which included the most significant modernists of the time. As a result, much of downtown Columbus, Indiana is now listed on the National Register of Historic Places in recognition of its incredible collection of over sixty modern buildings designed by Eliel and Eero Saarinen, I. M. Pei, Robert Venturi, Richard Meier, and others. While most architects were invited to design just one building, Harry Weese designed at least eighteen, including the National Historic Landmark-designated First Baptist Church (1965), widely considered one of the most iconic buildings in town. Weese was particularly revered in the Midwest, however, he was selected to design the U.S. Embasy in Accra, Ghana in 1958 and became one of an elite group of architects to work for the U.S. State Department. 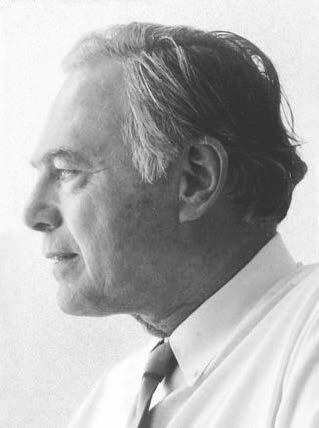 He was inducted, at a relatively young age, into the College of Fellows of the American Institute of Architects in 1961. Weese’s most recognized project is the system-wide network of station designs for the 100- mile long Metro subway in Washington, D.C., heralded by the New York Times as: “among the greatest public works of this century.” His work continues to inspire study, with coverage in Chicago publications such as ChicagoMagazine, Reconstructing Harry Weese, (Robert Sharoff) July 2010, and The Architecture of Harry Weese (Robert Bruegmann and Kathleen Murphy Skolnik), September 2010. 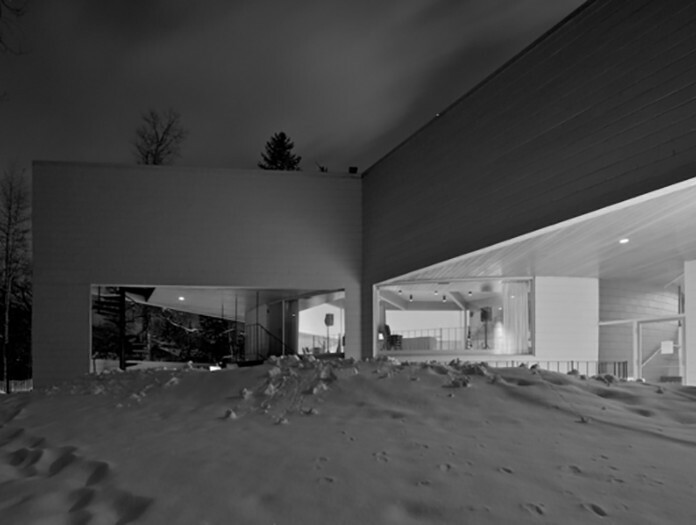 Shortly after completing his 1967 commission for the District of Columbia Metro project and the 1970 Time-Life skyscraper in Chicago, Harry Weese designed the Given Institute, built in Aspen in 1972. A longtime visitor to Aspen, Weese first came to town with his wife Kitty in 1947. The family owned a Victorian era home in the West End for 50 years. 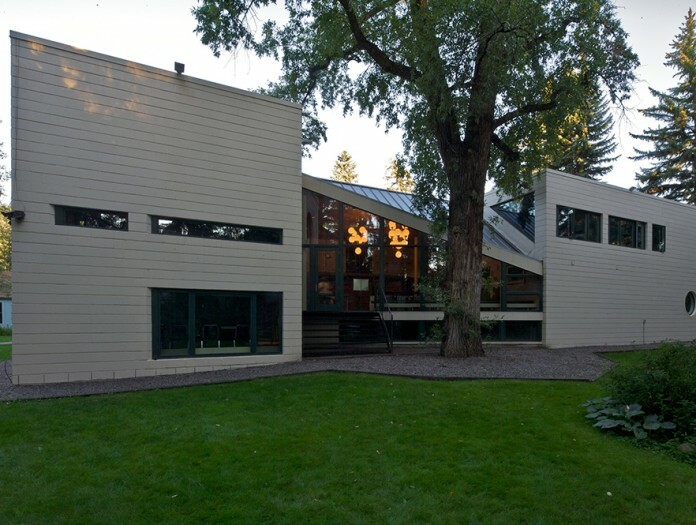 Into the 1980s, Weese designed three vacation residences in the Aspen area, which are still standing.